Featuring 11 athletes who captured gold at the 2015 FIBA Americas Men’s U16 Championship, which qualified the U.S. for the 2016 FIBA Men’s U17 World Championship, a total of 39 of the nation’s top male athletes age 17 and under have accepted invitations to attend the USA Basketball Men’s U17 World Championship Team training camp June 10-22 at the United States Olympic Training Center in Colorado Springs, Colorado. The athletes will participate in the training camp in hopes of being selected to represent the United States at the 2016 FIBA Men’s U17 World Championship, June 23-July 3 in Zaragoza, Spain. Training camp will get underway at 5 p.m. (MDT) on June 10, and the team will practice twice a day June 11-17. It is anticipated that finalists will be selected on June 12 and the final 12-member team will be announced no later than June 17. 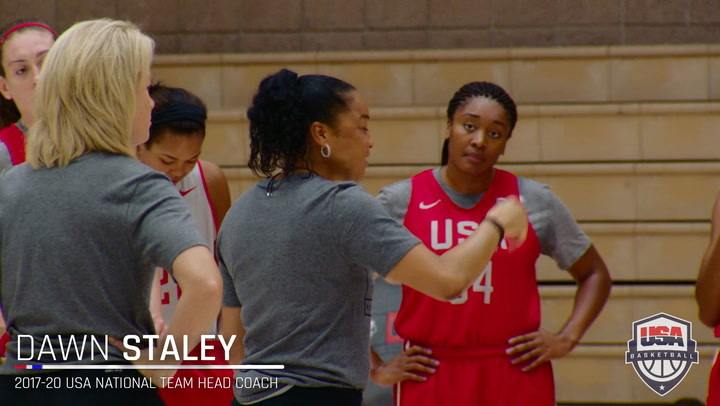 Invitations to the training camp were issued by the USA Basketball Developmental National Team Committee, chaired by USA Basketball men’s national team director Sean Ford. Athletes eligible for this team must be 17 years old or younger (born on or after 1/1/99) and U.S. citizens. Athletes expected to participate in the USA U17 World Championship Team training camp include: Michael Barber (Jackson Academy/Jackson, Miss. ); Jordan Brown (Woodcreek H.S./Roseville, Calif.); Marquis Brown (Simeon Career Academy/Chicago, Ill.); Troy Brown (Centennial H.S./Las Vegas, Nev.); Wendell Carter Jr. (Pace Academy/Fairburn, Ga.); Taeshon Cherry (St. Augustine H.S./San Diego, Calif.); Daejon Davis (Garfield H.S./Seattle, Wash.); Nojel Eastern (Evanaston Township H.S./Evanston, Ill.); Darius Garland (Brentwood Academy/Nashville, Tenn.); Carte'Are Gordon (Webster Groves H.S./St. Louis, Mo. ); Justyn Hamilton (Independence H.S./Mint Hill, N.C.); Elijah Hardy (Bishop O'Dowd H.S./Oakland, Calif.); Markus Howard (Findlay Prep, Nev./Chandler, Ariz.); Jaren Jackson Jr. (Park Tudor School/Carmel, Ind. ); Brandon Johns (East Lansing H.S./East Lansing, Mich.); Tre Jones (Apple Valley H.S./Apple Valley, Minn.); Kevin Knox II (Tampa Catholic H.S./Riverview, Fla.); Romeo Langford (New Albany H.S./New Albany, Ind. ); Jaedon LeDee (The Kinkaid School/Spring, Texas); Gerald Liddell Jr. (Cibolo Steele H.S./Cibolo, Texas); Montez Mathis (Oak Hill Academy/Joppa, Md. ); Miles Norris (Mater Dei Catholic H.S./San Diego, Calif.); Jaylen Nowell (Garfield H.S./Renton, Wash.); Charles O'Bannon Jr. (Bishop Gorman H.S./Las Vegas, Nev.); Immanuel Quickley (John Carroll School/ Havre De Grace, Md. ); Cameron Reddish (Westtown School/Norristown, Pa.); Alexander Reese (Pelham H.S./Pelham, Ala.); Nazreon Reid (Roselle Catholic H.S./Asbury Park, N.J.); D'Shawn Schwartz (Sand Creek H.S./Colorado Springs, Colo.); Collin Sexton (Pebblebrook H.S./Mableton, Ga.); David Sloan (Ballard H.S./Campbellsville, Ky.); Javonte Smart (Scotlandville H.S./Baton Rouge, La. ); Jalen Smith (Mount Saint Joseph H.S./Baltimore, Md. ); Gary Trent Jr (Apple Valley H.S./Burnsville, Minn.); Jarred Vanderbilt (Victory Prep/Houston, Texas); Connor Vanover (The Baptist Prep School/Little Rock, Ark. ); Kaleb Wesson (Westerville South H.S./Westerville, Ohio); Austin Wiley (Spain Park H.S./Hoover, Ala.); and Robert Woodard II (Columbus H.S./Columbus, Miss.). Seven-time USA Basketball gold medalist head coach Don Showalter (USA Basketball), who in 2015 coached the USA U16 National Team to a gold medal at the FIBA Americas U16 Championship, will serve as head coach of the 2016 USA U17 World Championship Team. 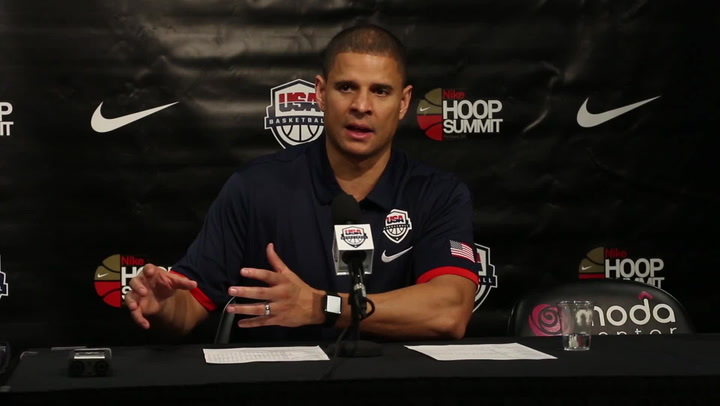 Also selected to remain on staff after assisting Showalter and the 2015 USA U16 team to a gold medal and a berth in the 2016 U17 World Championship is prep head coach Miles Simon (California Supreme AAU) and Mike Jones (DeMatha Catholic H.S., Md. 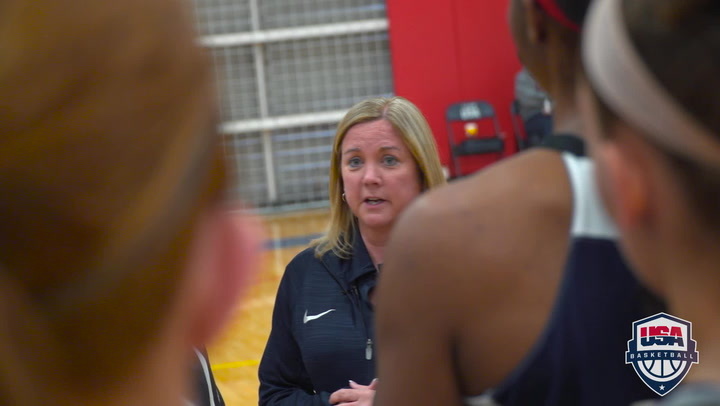 ), who has been a member of six previous USA Basketball coaching staffs, including as an assistant for the gold medalist 2012 USA U17 World Championship Team. The USA earned its qualifying spot for the 2016 U17 Worlds by capturing gold at the FIBA Americas U16 Championship with a 5-0 record. Led by tournament MVP Trent, athletes attending training camp who won gold as a member of the 2016 USA U16 National Team also included Jordan Brown, Carter, Howard, Jones, Knox, Nowell, Smart, Vanderbilt, Vanover and Woodard. Also boasting of USA Basketball experience are Gordon, Hardy, Johns and O’Bannon, who were named as finalists for the 2015 U16 squad. Further, Barber, Marquis Brown, Troy Brown, Davis, Eastern, Garland, Hamilton, LeDee, Liddell, Mathis, Reddish, Reese, Reid, Sloan, Schwartz, Wesson and Wiley have each participated in at least one previous USA Basketball Junior National Team training camp. 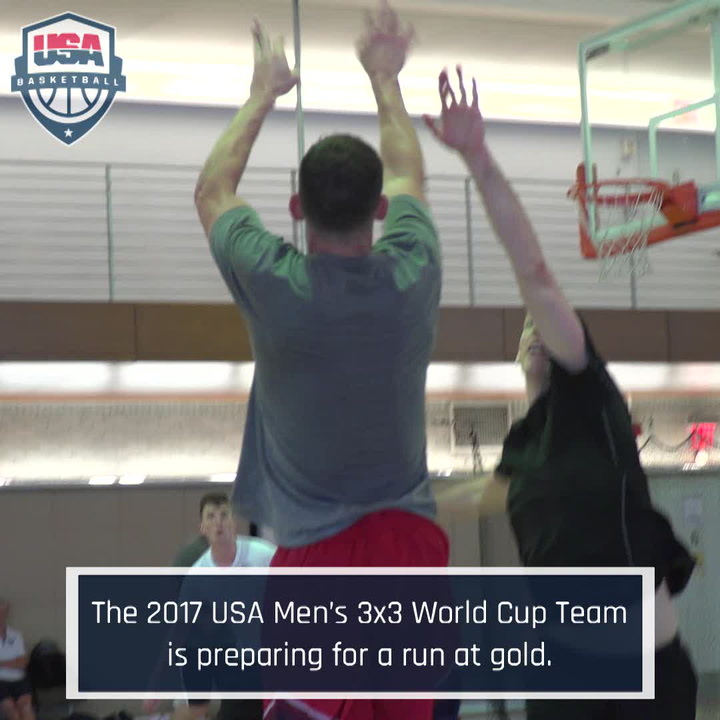 Most recently, Schwartz finished as runner-up at the 2016 USA Basketball 3x3 U18 National Tournament. Several athletes earned high school All-American honors from MaxPreps following the 2015-16 season. Knox listed on the All-American third team, Trent was named All-American fifth team, and Carter and Smart earned All-American honorable mention. MaxPreps National Junior of the Year honors went to Knox, and joining him on the Junior All-American first team are Carter and Trent. Troy Brown and O’Bannon listed as Junior All-American honorable mentions. Headlined by MaxPreps National Sophomore of the Year Langford, the MaxPreps Sophomore All-American first team includes Jordan Brown and Smart, Quickley and Woodard were named to the second team, Johns to the third team and Garland was a 2016 MaxPreps Sophomore All-American honorable mention. 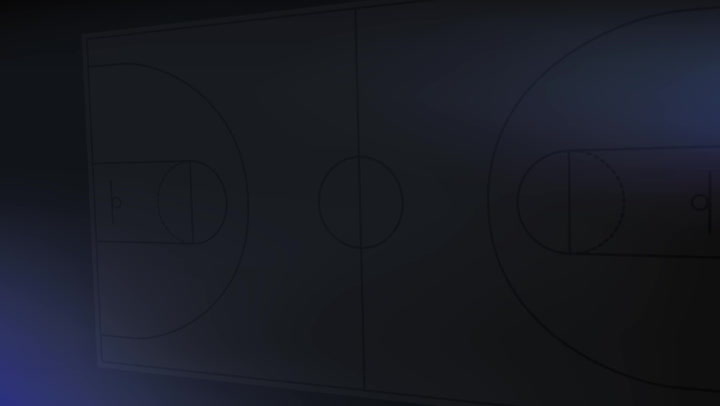 A total of fifteen athletes were named to their respective state’s USA Today All-USA State Boys Basketball Team, including Garland (Tennessee), Smart (Louisiana) and Woodard (Mississippi), who were selected as their respective state’s player of the year. Including Garland, Smart and Woodard, the USA Today All-USA State Boys Basketball first team selections were Troy Brown (Nevada), Carter (Georgia), Howard (Nevada), Jones (Minnesota), Reese (Alabama), Trent (Minnesota) and Wiley (Alabama). Listing on their respective All-USA State second team are Liddell (Texas), Nowell (Washington), O’Bannon (Nevada), Schwartz (Colorado) and Vanover (Arkansas). The U.S. will open FIBA U17 World Championship play on June 23 against Taiwan and will face Turkey on June 24. Following a day off, the USA will cap preliminary play against Egypt on June 26. After playing each of the teams in their preliminary round group, all teams advance to the round of 16 on June 28. Winners from the round of 16 advance to the medal round quarterfinals on June 30. The semifinals will be played on July 2, and the finals will be on July 3. In addition to Ford, the USA Basketball Men’s Developmental National Team Committee includes high school representatives Herman Harried (Lake Clifton H.S., Md.) and John Olive (Torrey Pines H.S., Calif.); AAU representatives Rich Gray (St. Louis Eagles, Mo.) and Boo Williams (Boo Williams, Va.); and athlete representatives Chauncey Billups, who won gold as a member of the 2010 USA World Championship Team, and Gerry McNamara, a gold medalist on the 2005 USA World University Games Team. In the inaugural FIBA U17 World Championship for Men, the USA captured gold with a perfect 8-0 record and Bradley Beal was tabbed MVP. In 2012, Jahlil Okafor earned MVP honors and was joined on the all-tournament team by Justise Winslow as the U.S. again captured gold. Most recently the U.S. made it three-straight golds as Malik Newman earned tournament MVP honors and Diamond Stone listed on the all-tournament team.